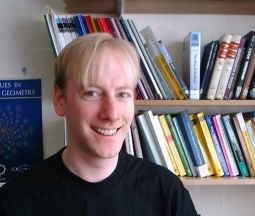 I'm a Senior Lecturer in the Faculty of Mathematics, Computing and Technology at the Open University and until recently was the Head of the Department of Mathematics and Statistics. My main area of interest is Geometric measure theory. If my publications look interesting, then please feel free to email me. I am a tutor for the Open University's MSc-level course in Fractal Geometry. If you are in my tutorial group, then my M835 Teaching is for you. If you would like a more formal look at my career history then my CV is the place for you. In March 2010, I gave a Royal Institution Mathematics Masterclass on iteration at Bletchley Park. Here is the handout that I used.